Idiotbox, Sam Hell, Sunner Soul, Abdomen Burst, Duane Barry, Line Of Sight and more. As per the last one this mix was inspired by the glut of quality deep breaks releases and artists that have seen the light of day recently and have got a good rinsing on my weekly Disc Breaks show on NSB Radio, it&apos;s been great to see a resurgence in the quality deep stuff being released and subsequently being well received by the greater breakbeat world. This mix is probably a little more &apos;peak&apos; and a bit more proggy in parts, but stays true to the deep bass action I love and is chock full off new artists that have really set the scene alive. Disc Breaks Sessions: 02 - bringing you the best from the deeper end of breaks. great to hear these are still getting the love - thanks! Been mourning the loss of DBS and then I find these! Love me some vintage Llupa. 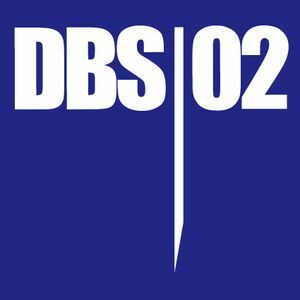 DBS02 is easily one of the best ever! 2009 this was - good to hear it&apos;s still getting love! Every single tune is right down my cup of tea! BigUps!